One of the least-known stories of World War II, Operation Mars was an epic military disaster. Designed to dislodge the German Army from its position west of Moscow, Mars cost the Soviets an estimated 335,000 dead, missing, and wounded men and over 1,600 tanks. But in Russian history books, it was a battle that never happened—a historical debacle sacrificed to Stalin's postwar censorship. David Glantz now offers the first definitive account of this forgotten catastrophe, revealing the key players and detailing the major events of Operation Mars. Using neglected sources in both German and Russian archives, he reconstructs the historical context of Mars and reviews the entire operation from High Command to platoon level. Orchestrated and led by Marshal Georgi Kostantinovich Zhukov, one of the Soviet Union's great military heroes, the twin operations Mars and Uranus formed the centerpiece of Soviet strategic efforts in the fall of 1942. Launched in tandem with Operation Uranus, the successful counteroffensive at Stalingrad, Mars proved a monumental setback. Fought in bad weather and on impossible terrain, the ambitious offensive faltered despite spectacular initial success in some sectors: Zhukov kept sending in more troops and tanks only to see them decimated by the entrenched Germans. 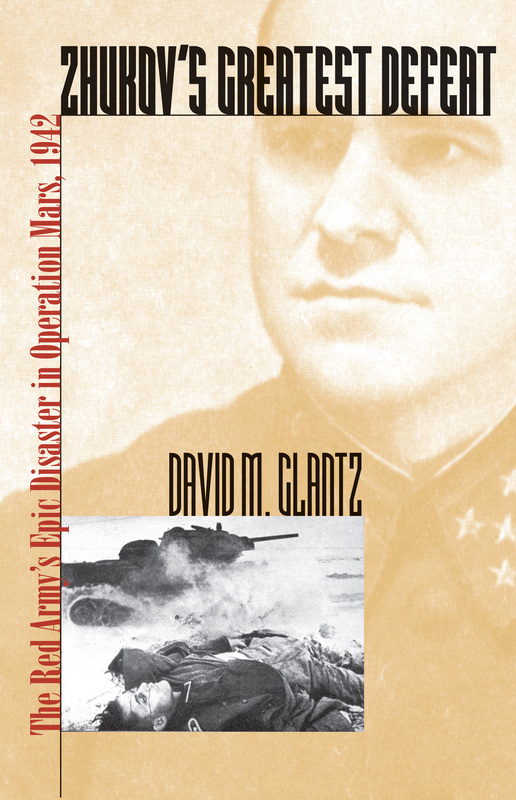 Illuminating the painful progress of Operation Mars with vivid battle scenes and numerous maps and illustrations, Glantz presents Mars as a major failure of Zhukov's renowned command. Yet, both during and after the war, that failure was masked from public view by the successful Stalingrad operation, thus eliminating any stain from Zhukov's public image as a hero of the Great Patriotic War. For three grueling weeks, Operation Mars was one of the most tragic and agonizing episodes in Soviet military history. Glantz's reconstruction of that failed offensive fills a major gap in our knowledge of World War II, even as it raises important questions about the reputations of national military heroes. David M. Glantz is founder and former director of the U.S. Army's Foreign Military Studies Office and editor of the Journal of Slavic Military Studies. Among his many books are When Titans Clashed: How the Red Army Stopped Hitler (with Jonathan M. House) and Stumbling Colossus: The Red Army on the Eve of World War.